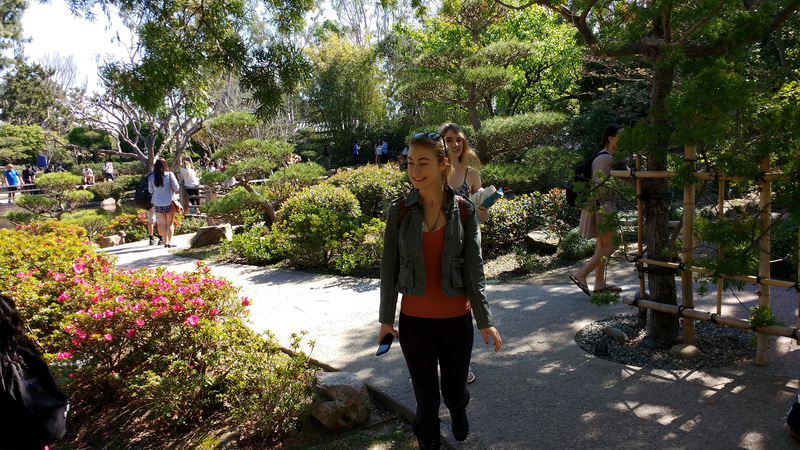 This week we’ll visit Long Beach State’s EBM Japanese Garden during class time. Meet there. It’s over by the dorms. Any kind of pencil is ok. The best pencil (I have ever used in my life) is the Draughting pencil. And it’s only 99 cents in the LBSU Art Store in FA3! You’ll need a way to sharpen it. A sharpener or an x-acto knife are both great. Be very careful if you sharpen your pencil with a knife! Any kind of paper or sketchbook. Make sure it’s unlined! Some people like to use hard lead for sketching or layout or construction drawing, and then use soft lead for finished lines. I like soft lead! Forget about all the H’s! Bleech! Go for the B’s! If you like mechanical pencils, I prefer fatter lead. 0.3mm is ridiculous. The “standard” 0.5mm is better. 0.7mm is awesome! 0.9mm might be pushing it. Even though I love 0.7mm, the softest lead I’ve found for 0.7mm is 2B, and you can get 4B for 0.5mm. I love 0.7mm, but I love 4B lead even more. So my favorite mechanical pencil is a 0.5mm with 4B lead in it. Both the Main LBSU Bookstore and the LBSU Art Store have 0.5mm & 0.7mm pencils and 2B & 4B lead. It’s all pretty inexpensive. Especially for such a velvety and visceral drawing and writing experience! Draw with whatever ability you have. Take your time. Be patient. This Art Experience is graded on effort, not on skill. Drawing is a lot about seeing. A lot about looking. If you spend 10% of your time with your eyes on what you’re drawing, and 90% of your time with your eyes on your paper, you are not looking enough! Try to slow down and look carefully at what you’d like to draw. You think erasers are your friends. They are not. They only want to mess you up. Do not be seduced by the eraser’s lies. Lies, lies, lies! Don’t fall for them. Erasers are judgmental. You shouldn’t be. If you don’t like a line you’ve drawn don’t erase it just draw another line. Maybe darker. All the lines will add up to show volume. It will be awesome. Trust your instincts, Luke. Keep it loose. Keep it free. Feel the flow. A great thing to try is a contour or blind contour drawing. Let’s say I want to draw a few leaves on a branch. I can pick a start point, like the tip of one leaf. Then I put my pencil on my paper and my eye on the tip of the leaf. Try to move your eye along the edge of the leaf as you move your pencil along the paper. You are teaching yourself hand-eye coordination. When a kid dribbles a basketball on her driveway for 1,000 hours, she’s teaching herself hand-eye coordination. You don’t have to draw for 1,000 hours! But if you take your time, you will get better. Try not to look at your paper. Just let your eye move along the leaf as your hand moves across the paper. Of course, don’t erase! Just keep gently moving along. For 3 sketches try to draw something that looks like something. Again, don’t stress about skill. But try to make leaves look like leaves, and so on. A drawing can be “abstract” in that it is stylized or removed a little, or a lot, from the original. You might draw a pile of twigs or reflections on the water. They don’t have to be completely unrecognizable to be “abstract”. They can be “somewhat abstract”. Or you could be very abstract and use the source inspiration to create a sketch that most people wouldn’t know where it came from. Along with your 3 representational & 3 abstract drawings, also use the garden to take 3 representational & 3 abstract photos. Post your 6 sketches & 6 drawings. Compare & contrast your experience of Drawing vs Photography. Compare & contrast your experience of Representation vs Abstraction.